How does the innate immune system identify infecting agents such as viruses, bacteria and cancer cells? Answering this question is the research interest of Professor Andreas Diefenbach, Einstein Professor of microbiology at Charité-Universitätsmedizin Berlin. He strengthens the immunobiological research in Berlin. 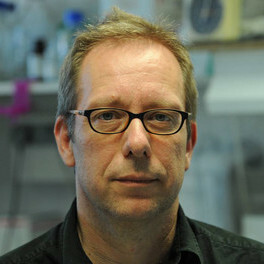 He is also head of the Institute of Microbiology at Charité and the corresponding department at the Labor Berlin GmbH. Furthermore, he is the speaker of the DFG priority programme “Innate Lymphoid Cells“. His international scientific career led him via Berkley and New York in the United States back to Germany, where he had been holding chairs in Freiburg and Mainz.